Czequestria 2017 – we join for the third time to fulfill the dream and make the common goal a real thing once again! Two years ago, at the closing ceremony, we made a bold promise that Czequestria will return in two years. Some were disappointed, others did not believe it would actually happen. Because… how many conventions ended for good this way? After the organization start in 2013 and stormy years 2014 and 2015 it would be no surprise. Either way, the rest was more than needed. But the promise lasted, and so did the hope. One thing is certain: much has changed in those two years. Some left, some joined, the world has also changed. But even if nothing stays the same for long, when it changes it doesn’t mean it’s gone (indeed).After two years, I’m happy to say that the rest was really refreshing and prepared us for this year’s events, which brought us a few surprises, and definitely fall among the unforgettable ones. Our pony scouts report all paperwork complete! 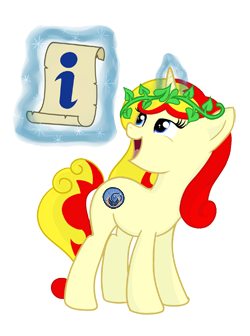 With great joy we can announce that the result of this year’s charity auction at Czequestria 2017 was officially approved by the authorities. The responsible pony staff can finally catch some z’s. All given money was donated to Chewal Association, the hippotherapy organization. Please allow us to once again thank all the people who donated items as well as the ones who participated in the auction! It’s already a month since Czequestria 2017. During that time, the most vivid memories were overshadowed with the daily chores and work, but all those memories and happiness of spending the weekend together will remain. We believe that all of the visitors have enjoyed the con – soon there will be an opportunity to tell the organizers what you’ve liked the most and what needs to be improved for the future. But before that there is one important thing: for the memories to remain we have prepared the complete overview of photos, videos and tweets that reflect the authentic atmosphere of the convention. Photos and videos – 2017 shared memories are here for you! Those that were there can relive those moments and others can see what they’ve missed at Czequestria 2017! The film was screened at Czequestria 2015 in the main hall on Saturday afternoon. Congratulations to Honzdir for bringing the documentary film project to a successful end!